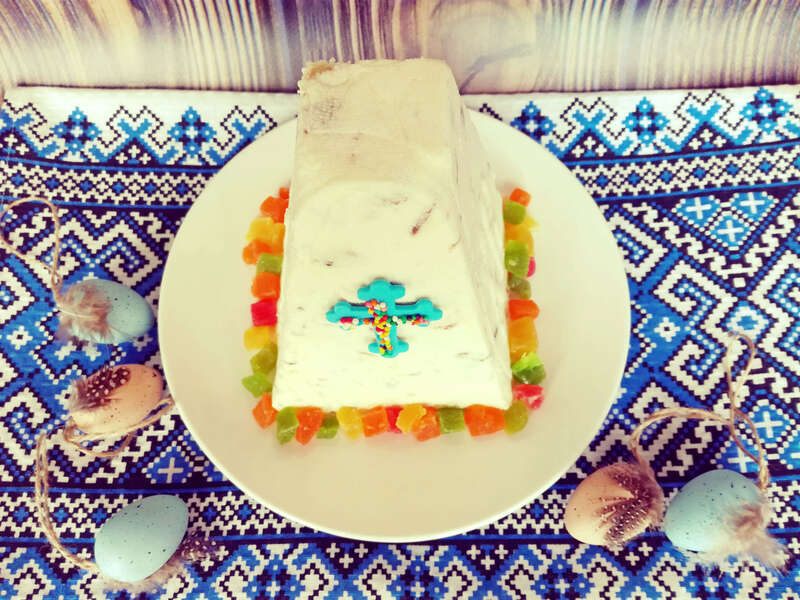 Apart from a traditional kulich, Ukrainians also cook another type of paska molded in the shape of a pyramid. 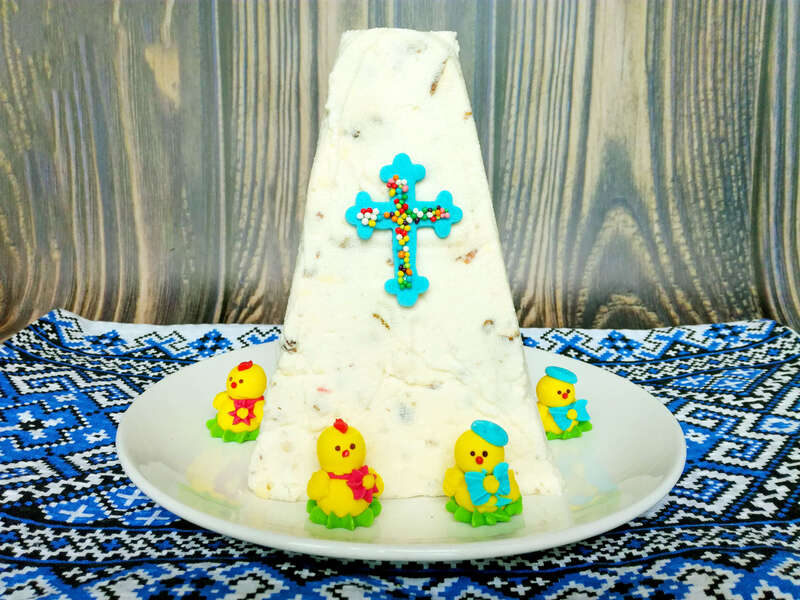 This cheese paska is the traditional companion of the Ukrainian Easter bread. 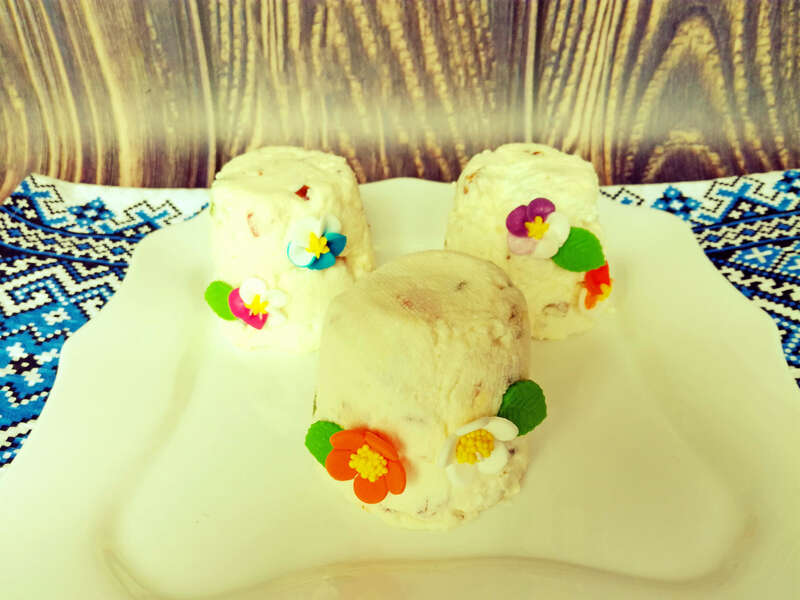 Made using cottage cheese/curd, sour cream, dairy butter, and sugar, this paska is unbelievably tender and airy. 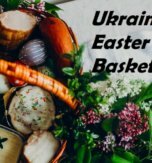 It’s a wonderful, fresh idea to cook for Easter, especially if you want to try something new. 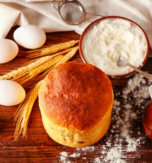 The recipe is very easy and doesn’t require baking or boiling. 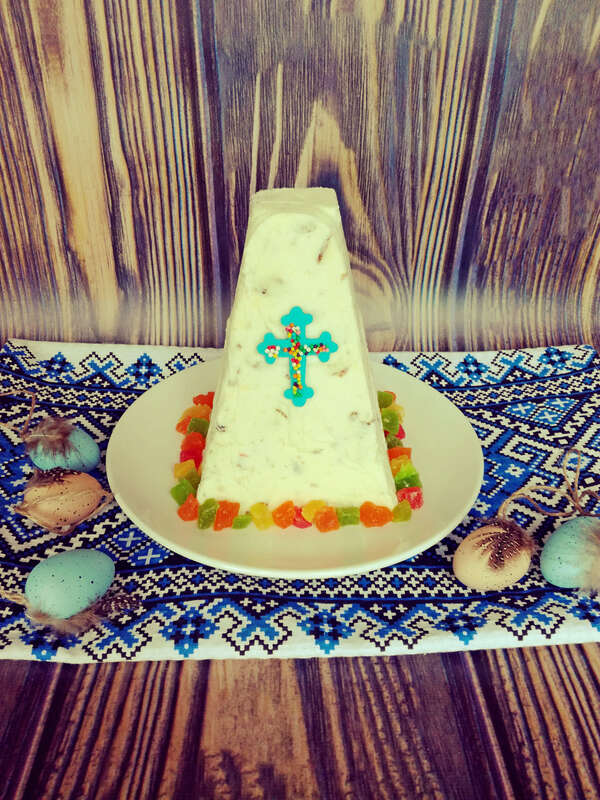 We’ll just mix the ingredients and put our Easter cake in the fridge to set. Give it a try! Wash raisins under running water and put them in a bowl. Pour boiling water above the raisins and set them aside for half an hour. 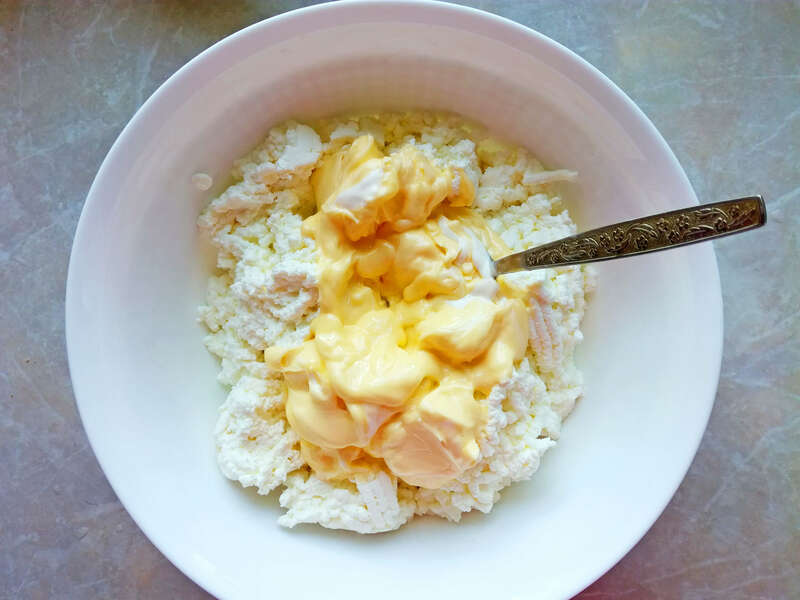 The main ingredient that we’ll need to cook this Easter cake is cottage cheese - soft, lumpy white cheese made from the curds of skimmed milk with some whey. 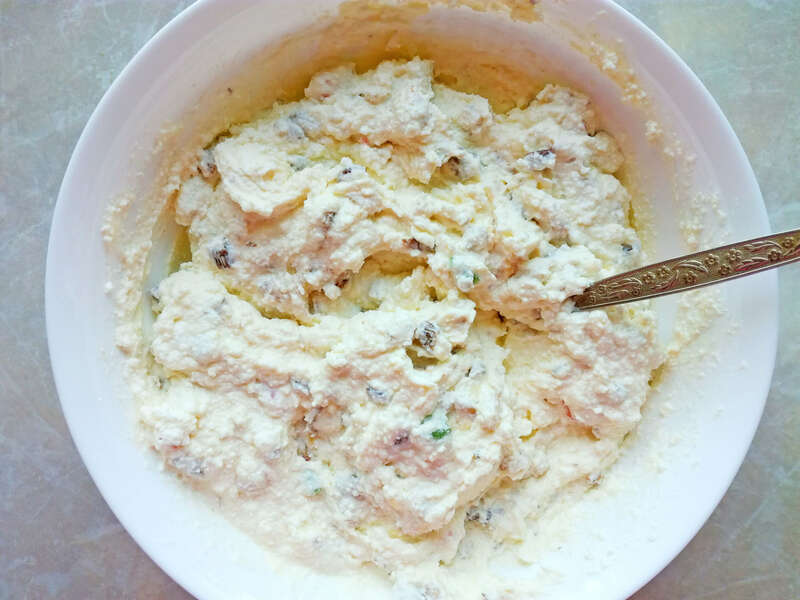 Grate cottage cheese through a sieve thoroughly or grind it in a blender. Then add sliced soft dairy butter. Mix everything carefully until smooth. 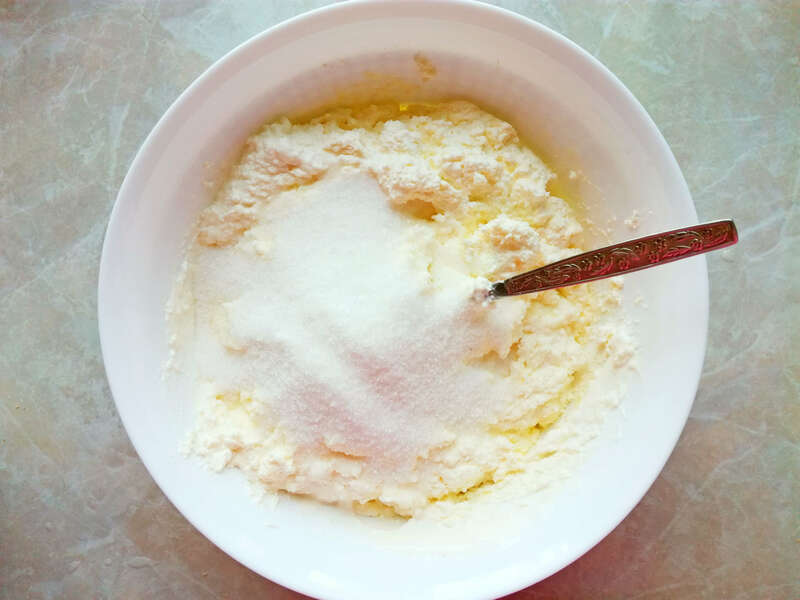 Stir in sour cream, vanilla sugar, and powdered sugar. 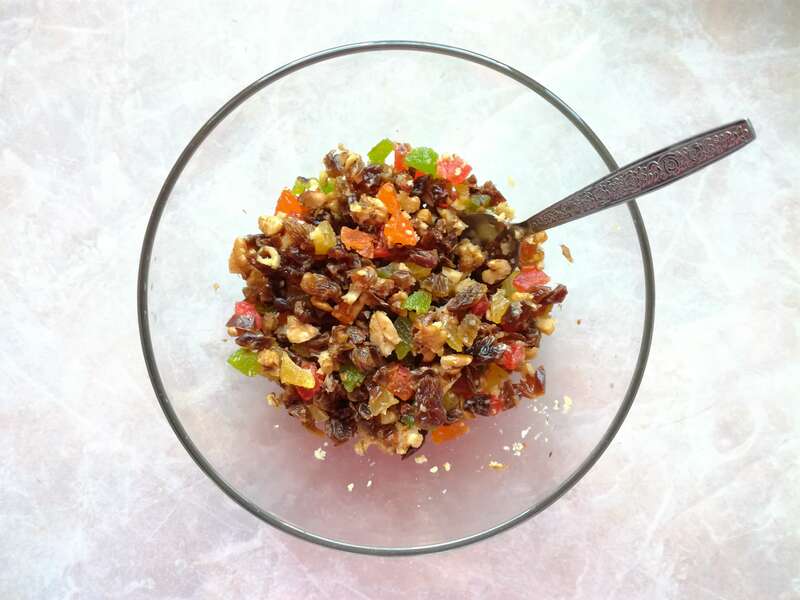 Chop walnuts, and cut candied fruits finely. Take the bowl with raisins and drain water through a colander. Let the raisins dry a little. 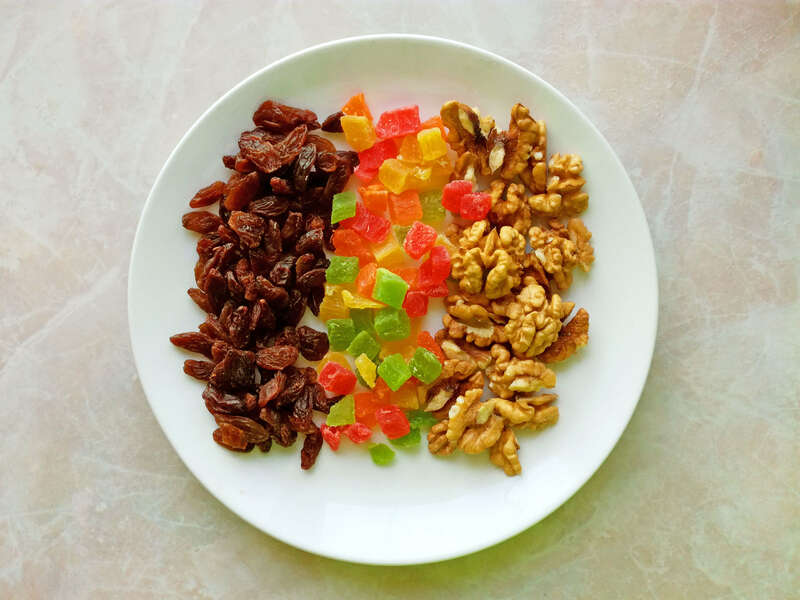 Combine the nuts, candied fruits, and raisins. 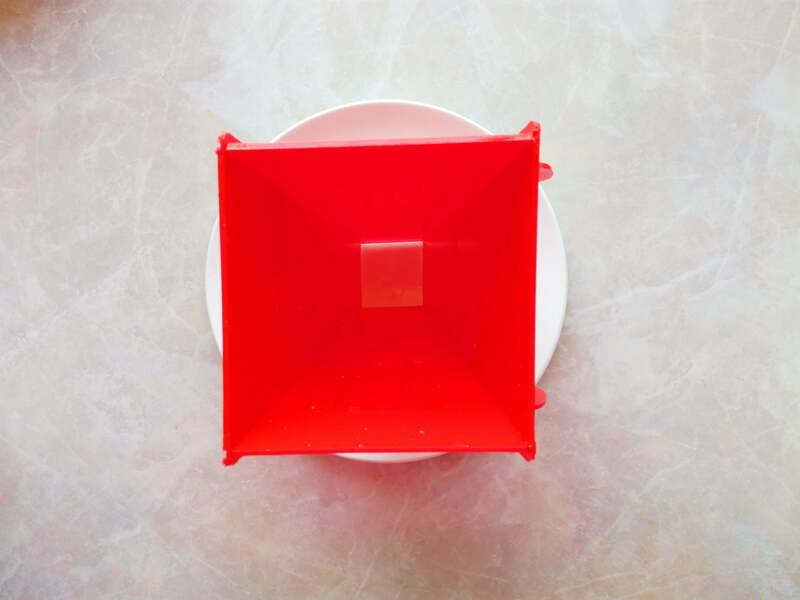 We’ll need a special cheese mold with a hole at the bottom. Put the mold on a plate and line it with cheesecloth. Arrange the prepared cheese mass there. 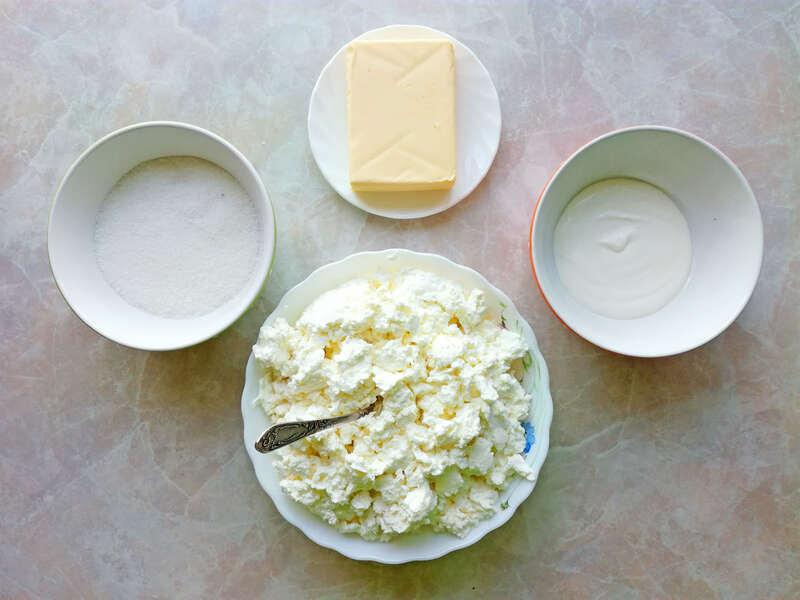 Fold the cheesecloth over the top of the cottage cheese and put above weights (a plate or a lid) to squeeze out whey. I had some cheese mass left so I decided to arrange it in 3 cups lining them with cheesecloth beforehand. Then I turned over the cups and arranged them on a plate. Put our Easter cakes in the fridge for 10-12 hours. You’ll need to pour off whey for a couple of times during this time. Remove the cloth and turn over the cake. 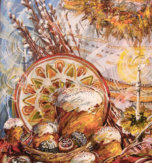 Unmold the paska and decorate it to your preferences. I will show you two ideas of decoration, but you can use imagination and create your own. As for the cups, you simply take off the cheese mass and get funny and cute little cakes. I decorated them with flowers. 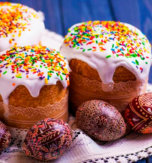 Have you liked the recipe for Ukrainian Easter cake?